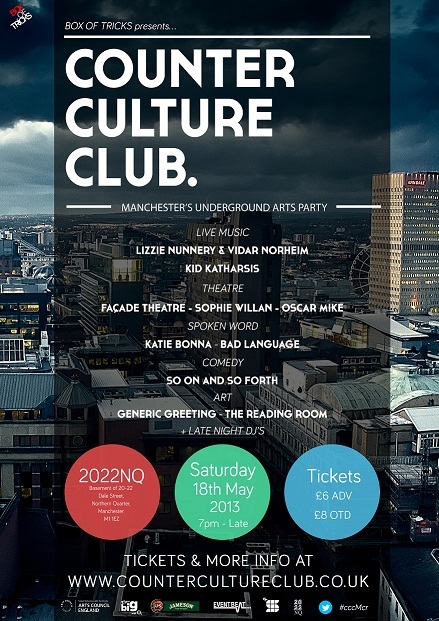 Bad Language are joining Manchester’s Underground Arts Party by hosting the cosy spoken word stage. With live music, art installations, drama, reading rooms and spoken word, CCC is an exciting opportunity to spend your Saturday night in an exciting all arts party. 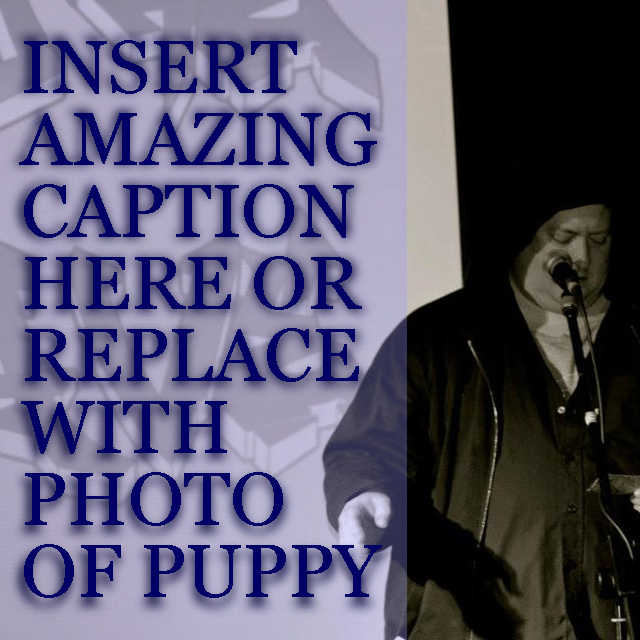 Mark Powell is a writer, performer, serial blog abandoner and multiple papercut survivor who mashes together a lot of wordy stuff that isn’t exactly poetry, isn’t exactly prose, and probably isn’t exactly first date material. He hosts the true storytelling night Tales Of Whatever, yet ironically spends an alarming amount of any leftover time spinning outright lies on Twitter (@gomark). 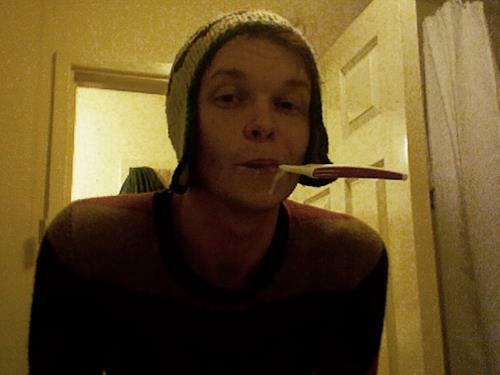 Luke Samuel Yates was born in 1983 in the North West of England. 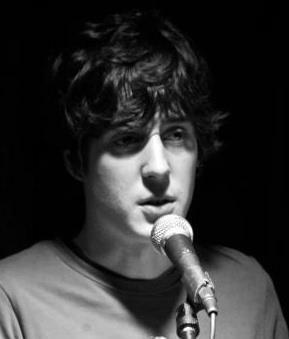 He was named a Foyle Young Poet of the Year on four occasions and his work has featured in various poetry magazines, BBC Radio 4 and on the London Underground. 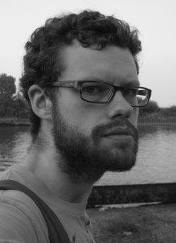 His new pamphlet, The Pair of Scissors That Could Cut Anything, is published by The Rialto. 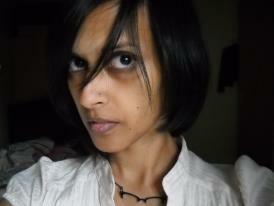 Nija Dalal is a writer and a second-generation Indian-American. She’s radio obsessive and works at the BBC. She cooks, crafts and sews, and blogs about it when she remembers: atlsyd.blogspot.com. She says “y’all.” Currently in Manchester, she’s lived in Sydney and Atlanta, but she likes Manchester best, so far. Fat Roland is a writer of two surreal short story collections and is one fifth of Manchester’s Flashtag writing collective. He’s won and lost several awards. His prop-laden story performances have brought notoriety as far afield as several streets in Manchester city centre. To find out more about CCC and the other art forms or to buy tickets visit Counter Culture Club. Afraid you’ll forget? Add the event on facebook to remind you! Or follow the conversation on twitter by following @badlanguagemcr, @bottc and follow the official hashtag for the event #cccMcr.